Leo Fender's company changed the course of popular music in 1954 when they introduced the Stratocaster. Since then, the Strat has been played by countless guitarists, from Jimi Hendrix to Buddy Guy and Jeff Beck. In this book, interviews with important Strat players from every decade illustrate the instrument's versatility, playability, and continuing importance. This is the complete story of the Stratocaster and the Fender company, from the struggles of the 1950s to the new models, retro reissues, and luscious collectibles of the 21st century. 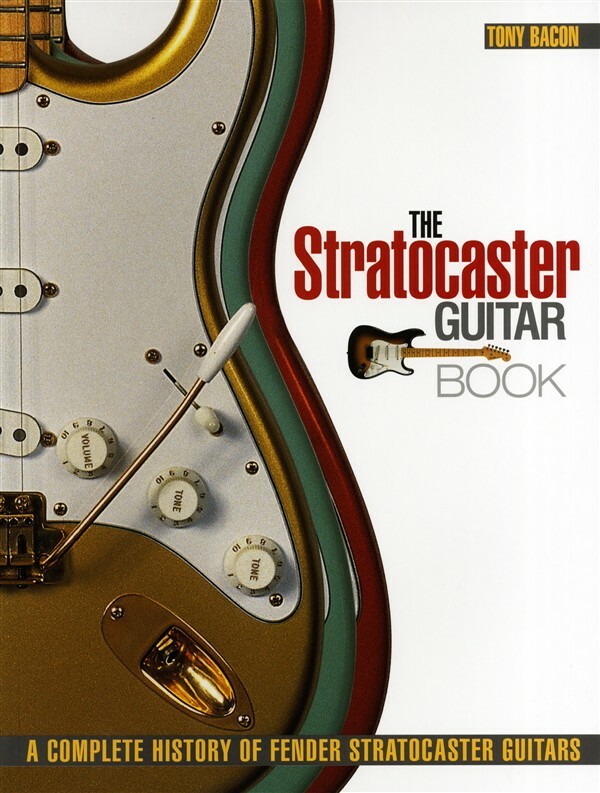 The Stratocaster Guitar Book is a glorious compendium of beautiful pictures, a gripping history, and a detailed guide to all Strat models. A must for all guitar lovers. Leo began work as an accountant, at first in the accounts section of the state highway department and then at a tyre distribution company, but his hobby was always electronics. In his twenties, he built amplifiers and PA systems for public events: sports gatherings, dances, and so on. He took a few piano lessons before trying the saxophone, but he was never serious, and he never learned to play the guitar. When he lost his accounts job in the Depression, Leo took a bold step and opened his own radio and record store in Fullerton, around 1938. He called the new retail and repair shop Fender Radio Service, and it seemed a natural move for the ambitious and newlymarried 30-year-old. He advertised his wares and services on his business card: "Electrical appliances, phonograph records, musical instruments & repairs, public address systems, sheet music." His new store on South Spadra meant that Leo met many local musicians and characters in the music and electronics businesses. During the first few years he hooked up with several people who would prove important to his future success. First among these was a professional violinist and lap-steel guitarist, Clayton Orr Kauffman, known to all simply as Doc. The story goes that some time around 1940, Doc brought an amplifier into Leo's shop for repair and the two got chatting. Doc had amplified his own guitars and made designs for an electric guitar and a vibrato system. By this time, Leo had started looking into the potential for electric guitars and was playing around with pickup designs. A crude solidbody guitar that Fender and Kauffman built in 1943 purely to test these early pickups - one design for which was patented in '44 - is today in the Roy Acuff Museum at Opryland, ashville. Doc went to work for an aircraft company during World War II, but the two incorrigible tinkerers still found time to get together and come up with a design for a record-changer good enough to net them $5,000. They used some of this money to bolster their shortlived company, K&F (for Kauffman & Fender), and began production of electric lap-steel guitars and small amplifiers in November 1945. In the 20s, many people in America had taken up the little lap-steel guitar, often called the Hawaiian guitar, and the instrument was still tremendously popular. The steel had been the first type of guitar to go electric in the 30s. Several innovative companies, with Rickenbacker in the lead, experimented with electro-magnetic pickups, fixing them to guitars and feeding their signal out to small amplifiers. The attraction of the steel was that it was an easy-to-play instrument, and thus one suitable for beginners, but the electric version also proved appealing to professional musicians, especially in Hawaiian music and among country-and-western bands. ... quantity, naturally, is limited," announced Fender, and during 1979 and 1980 the firm proceeded to make thousands of 25th Anniversary Stratocasters ($800 including case, virtually the same price as a standard model). "They went fast in '54. They'll go fast now," ran the insistent ad. An official estimate of production mentioned 10,000 units. Most people tend to refer to a Stratocaster as a Strat, and in 1980 Fender finally used the abbreviation officially on a new model. It was designed by Gregg Wilson, who had come up with the budget-price Fender Lead models introduced the previous year. The new Strat combined regular Stratocaster looks with updated circuitry, a 'hot' bridge pickup, and fashionable heavy-duty brass hardware. Fender also offered the hardware separately as an after-market accessory line, called Original Brass Works, following the lead of various companies that popularised a craze for retrofit replacement parts. Larry DiMarzio was a leader in this new business, introducing his Super Distortion replacement pickup in 1975, with Mighty Mite, Seymour Duncan, and others soon following. Fender intended with the Strat to re-introduce the old-style narrow headstock of the original Stratocasters. The broader type of the time had been in use since 1965. However, Fender used old worn-out tooling, and the result was not an entirely accurate re-creation. Smaller, certainly; accurate, no. A reversion to the four-bolt neck fixing and body-end truss-rod adjustment and the removal of the neck-tilt for the new Strat model implied that CBS were already aware of criticisms of 70s Stratocasters. A few brighter colours were offered for the Strat, too, reviving Lake Placid Blue, Candy Apple Red, and Olympic White. The model was significant as the first attempt at a modernised Strat. It retailed at $995, compared to $745 for the regular Stratocaster. One further attempt in 1980 to provide something different for Strat fans was the Hendrix Stratocaster. It was something like a 25th Anniversary Strat in overall spec, but it had an inverted headstock and additional body contouring, and was only offered in white. It's another significant guitar, as it was the first Fender marketed to highlight an association with a musician, a sales technique that would become very important to the company from the late 80s. Only 25 or so were produced, and most if not all were marked as prototypes. Colour schemes were brightened and expanded a little during the 80s, with the shortlived International Colors in 1981 and then the Custom Colors and Stratobursts of '82. Some of the new hues were distinctly lurid - such as Capri Orange, Aztec Gold, or Bronze Stratoburst - and they were not much liked at the time. In 1983, there was a short run of Marble or 'bowling ball' finishes, designed by Darren Johansen, in swirling Red, Blue, or Gold. LES PAUL LEGACY 1968-2009 THE MODERN ERA OF THE. Robb Lawrence. Following the release of The Early Years..., which Vintage Guitar magazine called “carefully crafted ... lavishly illustrated,” this full-color book continues the amazing journey of an American icon's recording career and the coveted instruments that bear his name. Beginning with the collectible late '60s models, The Modern Les Paul Legacy moves on to the '70s and '80s special-themed instruments – showing all popular artist models, like Jimmy Page, Joe Perry, and Slash, in living color. And the “holy grail” '59 Sunburst and the jaw-dropping Custom Shop creations of the '90s receive their due as achievements that have never, to this day, been surpassed. The book also covers Les Paul's resurgence – the comeback Grammy Award-winning album with Chet Atkins, the start of a weekly gig in a New York City jazz club, and the reconnection with the Gibson family. 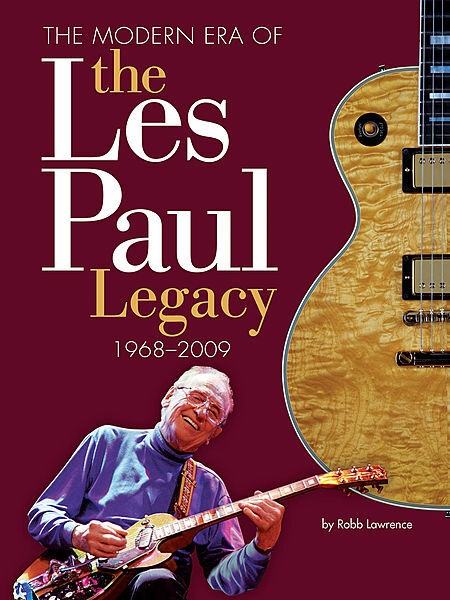 Since Les Paul's death in August 2009, this will be the first book that covers his entire life, including his last performances at the Rock and Roll Hall of Fame, the memorials in New York, and the burial in his hometown in Wisconsin. 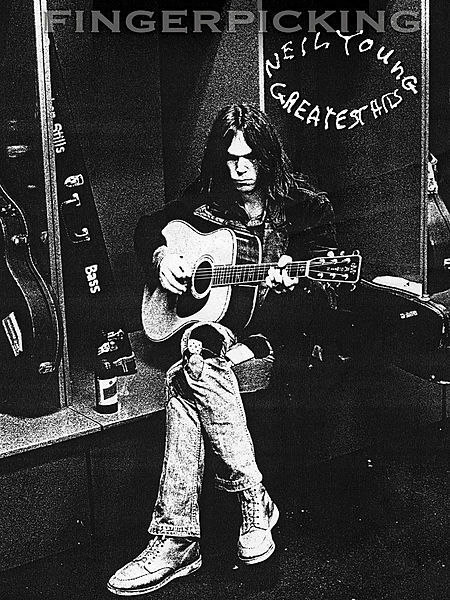 NEIL YOUNG, FINGERPICKING GREATEST HITS. SHEET MUSIC BOOK WITH GUITAR TABLATURE. This fantastic collection offers fingerpicking arrangements in notes & tab for 16 Neil Young classics! 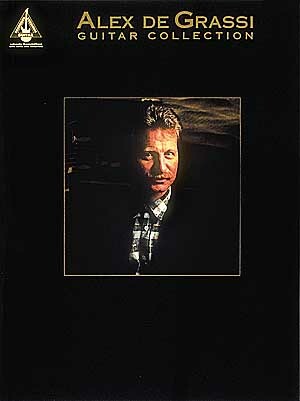 Includes: After the Gold Rush • Cinnamon Girl • Harvest Moon • Heart of Gold • Helpless • Hey Hey, My My (Into the Black) • Like a Hurricane • Ohio • Old Man • Rockin' in the Free World • Southern Man • and more, plus a helpful introduction to fingerstyle guitar and loads of photos, design pages, and lyric sheets. 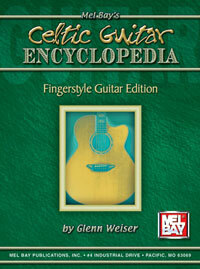 CELTIC ENCYCLOPEDIA, FINGERSTYLE GUITAR. TAB. This comprehensive book contains over 100 Celtic tunes arranged for solo fingerstyle guitar. This edition is derived from a collection of nearly 300 arrangements Glenn Weiser has created over the last twenty years. The book is divided into 4 sections: 1) airs, marches and waltzes 2) hornpipes, jigs and reels 3) tunes from the Bunting collection 4) harp tunes of Turlough O'Carolan. All are in either standard or dropped-D tuning, and can be played on either nylon or steel string guitars. All of these melodies are accompanied with brief historical notes. Written in standard notation and tablature. Intermediate in difficulty. DE GRASSI ALEX, GUITAR COLLECTION. Contiene: -children's dance -causeway -Inverness -McCormick -mirage -overland -slow circle II -southern exposure -turning -Western. TAB. EMMANUEL TOMMY, ONLY. Biskie -DriveTime -I've Always Thought Of You -Luttrell -Mombasa -Ol Brother Hubbard -Padre -Questions -Sonce We Met -Stay Close to Me -The Robin -Those Who Wait -Timberlake Road -Train to Dusseldorf. TAB. Tommy Emmanuel has electrified audiences across the globe. This book contains note-for-note transcriptions of solos from Emmanuel's album Only in standard notation and tablature. Transcribed by Mark Pritcher. KOTTKE LEO, EIGHT SONGS. SHEET MUSIC BOOK WITH GUITAR TABLATURE. LIBRO DI MUSICA PER CHITARRA ACUSTICA. A DESKTOP REFERENCE OF HIP VINTAGE GUITAR AMPS, Gerald WEBER. If you have questions about guitar amplifiers-how to fix them, how to restore them, or how to hot-rod them-this book has the answer. This book is written for the guitarist or collector who desires a common sense approach to understanding the essence of vintage tube amps and vintage tube tone. Not written for engineers, it does not contain engineering formulas, polar mathematic equations, or abbreviations that are assumed you should know. Gerald Weber, a regular columnist for Vintage Guitar magazine, shares the knowledge he has accumulated over the years of repairing and building his line of Kendrick amps. Gerald Weber has written many articles on tube guitar amplifiers for Vintage Guitar magazine, and this book is a compilation of those articles, plus excerpts from his "Ask Gerald" question and answer column. Written for the guitarist or collector who wants a common sense approach to understanding the essence of vintage tube amps and vintage tube tone, this essential guide will answer questions on how to fix, restore, or hot-rod vintage amps. Includes easy-to-follow text, a complete glossary of terms, many photos and detailed schematics, and a listing of dealers and sources. If you want to know about vacuum tube guitar amplifiers & what affects tone, this book bypasses the confusion & gets down to the essences of guitar amplifiers. Written for the guitarist or collector, this book is a common sense approach to understanding vintage vacuum tube guitar amplifiers. Not written for engineers, it does not contain engineering formulas, polar mathematic equations, or abbreviations that are assumed you know. When a new term is used for the first time, a definition of that term appears at the end of the chapter in a mini-glossary. The Author is president & owner of Kendrick Amplifiers, who manufacture vacuum tube guitar amplifiers & operate the largest vintage amp restoration shop in the country. He writes question-&-answer columns for "Vintage Guitar Magazine." Many of the articles are reprinted in this book. Over 200 schematics & layout diagrams, dozens of modifications, a whole section of tips & tricks, circuit comparisons & pictures. A must for anyone interested in tube guitar amps. When I began writing articles for Vintage Guitar Magazine several years ago, my original intention was to share my knowledge with those who care as much about tube guitar amps as I do. At the time, I had no idea that this book would eventually write itself. This book is actually a compilation of those articles and a compilation of the" Ask Gerald" question and answer column with the addition of some schematics and a reprint of the "Trainwreck Pages" and some other reprints. This book is written for the guitarist or collector who desires a common sense approach to understanding the essence of vintage tube amps and vintage tube tone. Not written for engineers, it does not contain engineering formulas, polar mathematic equations, or abbreviations that are assumed you should know. In fact, when a term is used for the first time, a definition of that term will appear at the end of the chapter in a mini-glossary. When you come across a word that is unfamiliar, you should look at the mini-glossary at the end of the chapter and clarify the word before proceeding. This will keep everything clear for you. DISCLAIMER: Tube amplifiers contain potentially lethal high voltages even after they are unplugged, that may cause personal injury or death. Do not attempt to repair or modify any amplifier unless you are absolutely certain that you know what you are doing. ... conductors of a capacitor. Paper, air, electrolyte, mica, mylar, polyester, and ceramic are some of the dielectrics that are used. DISTORTION-noun- The difference between what goes into an electronic device and what comes out. DYNAMICS-noun-The loud/soft quality of music that gives it character. ENVELOPE-noun-The changing dynamics of a vacuum tube circuit that can be heard as an attack, decay and sustain volume level when a note or a chord is played through the amp. FIXED-BIAS-adjeetive-A way to achieve bias in a vacuum tube in which a fixed amount of negative voltage is placed on the grid of a tube. This is almost always done on output tubes and almost never done on preamp tubes. GAIN-noun-The amount of voltage amplification in the preamp section of an amplifier. This voltage amplification ultimately drives the power tubes which do not add any more gain. The power tubes add current (power). HARMONICS-noun-The frequencies that are related to the fundamental frequency by being multiples of the fundamental frequency. HEADROOM-noun-The volume level that is attainable before clipping occurs. IMPEDANCE-noun-Sum of all resistance, capacitive reactance, and inductive reactance. INTERLEAVED-adjeetive-A way of winding a transformer in which a little bit of the primary is wound, then a little of the secondary is wound, then a little primary, then a little secondary, etc. until the transformer is wound. The more interleaves, the better the efficiency. PHASE INVERTER-noun-The circuit in a push pull amplifier that feeds the power tubes signal. It feeds one power tube an in phase signal and the other power tube an out of phase signal. The tube for this circuit is always located next to the power tubes. PLATE-noun- The part of a vacuum tube that has high voltage on it. Except in a cathode follower circuit, the output is always taken from this part of the tube. PLATE VOL TAGE-noun- The voltage that is applied to the plate of a vacuum tube. Higher voltages give more headroom and high end, lower voltages give more breakup and a browner tone. All tweed amps had relatively lower plate voltages. PREAMP-noun-The section of an amplifier whose function is to add gain. Preamps are always before the output stage. RECTIFIER TUBE-noun-A vacuum tube with no grid, whose purpose is to change alternating current to direct current. Current flows from the cathode to whichever of the two plates that happens to be positive at the time. A Tube is a Tube, Right? BASIC GUITAR ADJUSTMENTS & SETUPS. BASIC GUITAR ADJUSTMENTS & SETUPS. Manule per la regolazione dell'action, dell'intonazione, dei pickup, il montaggio delle corde, il settaggio della chitarra. An essential, easy-to-use guide containing basic set-up and maintenance information for guitar and bass guitar players. Designed to help keep your axe in peak performance condition with tips about tools, cleaning, restringing and adjustments. Along with a good chord book, a must-have! 32 pages. Beyond Power Chords is my response to "chord encyclopedias" that give you 57 ways to hold a C chord but don't tell you which chords go together. It is more important to know that C often goes to F and to know that this voicing of the C chord goes smoothly to this F chord. Many guitar players rely on power chords, which are simple chords that will limit you from a musical standpoint. Once you get comfortable with bar chords and the concepts taught in this book, however, the number of chords you can play will increase dramatically. The book is 250 pages long, with approximately 300 exercises. Also included is an audio CD filled with 85 tracks of examples that will clarify every lesson. Connecting chords in a variety of common progressions, Beyond Power Chords will give you the means to play all types of chords - major, minor, seventh and more - in all keys, as well as build chords on your own. Beyond Power Chords Contents: Follow the links to learn in more detail the contents of the book.